This is going to be a longer post. WAIT!!!! Don’t click away just yet. I promise it will also include life-changing wisdom and book recommendations. At the very least, book recommendations. The title of my blog; Ideas in Things figures into today’s post. 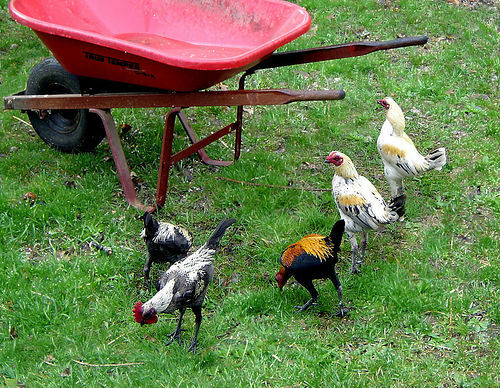 William Carlos Williams (so much depends on a red wheelbarrow -guy ) said this in a poem he wrote. A lot of other people have taken it on as an idea about good writing. What I take it to mean is that the things you write about; the purple plastic hairbrush with the rainbow sticker that your character always has in her purse, should tell you about the character more than any adjective or passage of description. That said, I’ve just recently read three of Jennifer Egan’s books in reverse order from their publication. I finished up her debut The Invisible Circus a week or so ago. I find it fascinating to read an author this way and observe how their plots become more twisting and complex, their characters more multi-layered and original. This was certainly true for Egan. I enjoyed The Invisible Circus but found in unsurprising in the same way that sometimes in a predictable movie, I can picture the lines written on the script as the character recites them. I noticed how often she described people’s faces falling in reaction to the events of the story; her face fell, his face sagged, her face sank imperceptibly, that sort of thing. The book is good, but nowhere near what she achieves in her later books. Once I read Egan’s brilliant National Book Award winning A Visit from the Goon Squad and cosmic surrealist The Keep, I felt, in reading her debut, that I was witnessing the learning process that is inevitable with all art (with anything really). It’s good to remember that art has a learning curve too and the writers I admire weren’t birthed with this breath-taking ability. These are ideas (not so much things) I find hopeful and encouraging.